» Will Samsung launch a 4K OLED laptop in CES 2019? According to reports from Korea, Samsung aims to launch its first 4K OLED Laptop at CES 2019 (January 8). Samsung will offer the laptop in three sizes: 13.3", 14" and 15.6". Samsung Display, who makes these OLEDs, is also in talks with HP, Dell and Lenovo with an aim to supply them with these new OLED laptop panels. Samsung's 2017 Galaxy Book 12"
According to the Korean reports, these will be rigid (glass-based) OLEDs produced at SDC's A2 fab. According to reports, SDC's rigid OLED fab utilization rates have dropped to about 65% and in February 2018 we estimated that SDC may try to find new applications for its underutilized OLED capacity - maybe in monitors, transparent signage or indeed laptop devices. 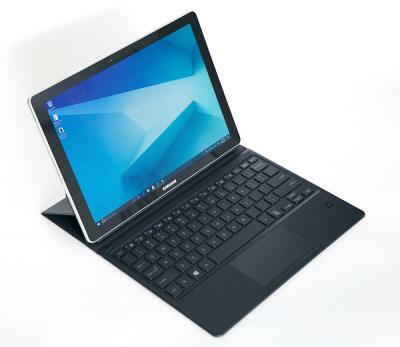 Samsung latest OLED laptop device (or at least something close to that) was the 2017 Galaxy Book 12" professional tablet that sports a 12" 2160x1440 Super AMOLED display.